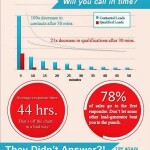 This is a great infographic on the power of internet leads but also on the immediacy of following up. 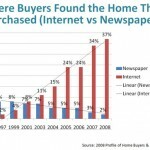 Back when I was a full time Realtor I always found that the follow up time was critical. 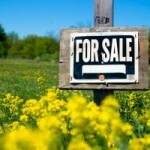 If you call one day and the buyer or seller is not interested then you may find that they will list the next week. No one really knows how quickly a given person will take to decide that this is the time. The magic is the series of followups. According to this study the most important calls are the ones from 3-8 and the 9th contact is where you start getting lowered chances of people moving towards buying or selling, you know, the law of diminishing returns.